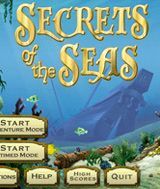 Download Secrets of the Seas for free at FreeRide Games! Discover sunken shipwrecks and explore the mysteries of one of the world's greatest lost treasures - the Crown of the Last Inca King. 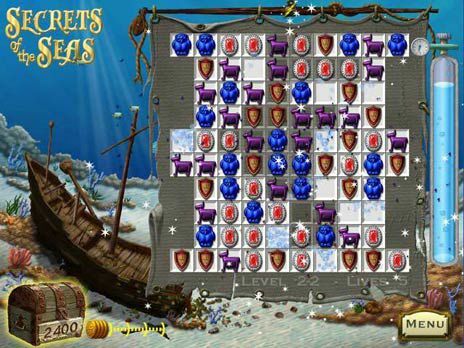 Secrets of the Seas takes you on a journey of discovery as you match ancient relics to unlock each level. Choose between playing against the clock in Adventure Mode or use your best strategies to beat the Untimed Mode. 2 gameplay modes - Adventure and Untimed. 70 unique levels of play. 9 Power Pieces to add to the action.